Am I the only one to think of bra cup with this theme? Probably. 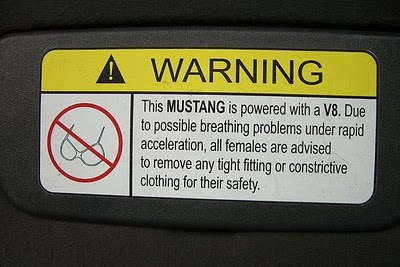 =) Anyway, since I did and since Mr. Skittles makes Mustangs, I thought this was quite.. fitting. LOL! I thought, "My cup runneth over" but since it doesn't feel like my cup is running over right now, I did the ancient cup-bearer. See... I knew someone would go there... and, for once, it wasn't me! You've gotta love it. Thanks for posting this one. Too flippin' funny. That would be really dangerous with me around. Ahahahahahahaha. Bwahahahahaha. That's so funny... but ummmm... what's a bra? and what are they used for?